Preschool is a time for learning through play. So if you're teaching your preschooler numbers than make sure the activities are a part of your child's play. Below are five activities that most preschoolers enjoy doing and they won't even know that they're learning numbers! There are different types of interactive books, here are two of them. Children love playing with these fun number books. They can move the magnetic pictures around and place them in the picture. They try to find and match the numbers. There's always something exciting about pop up and lift the flap number books. You never know what's behind each flap or what's going to pop out at you. It's always a favourite fun activity with preschoolers. You can have children use number stamps in different ways. Here are two examples. 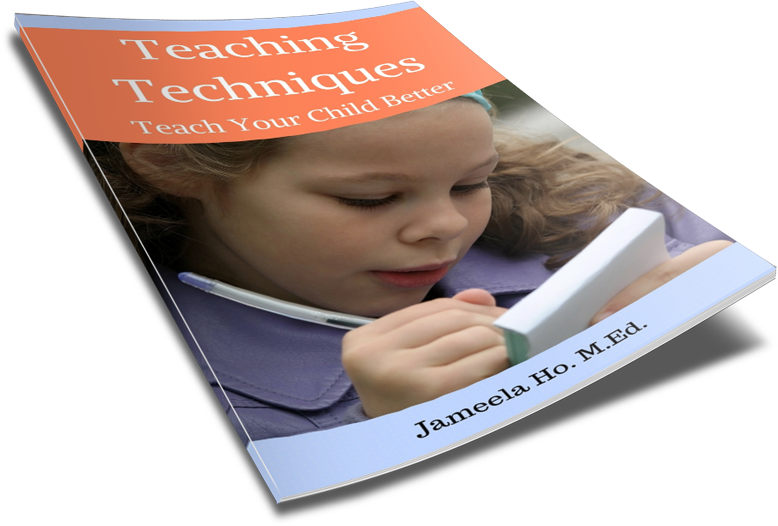 Provide your child with number stampers from 1 to 9. The first time your child uses these just let her have free reign and play with the stampers by randomly stamping any way she likes. Children love it! Just provide a sheet of paper and let her stamp the numbers to her heart's content. After the first few lessons, I then provide a sheet with numbers from 1 to 10 down the side and ask my preschoolers to find the matching number and stamp it in the matching row. This is another matching number activity. I had my preschoolers trace the numbers and find the matching number stamps. Then they try to write the numbers. My whiteboard always have magnetic numbers from 1 to 10 on it and it's usually all mixed up. My preschoolers would see it and play with it. It's highly interactive. This is similar to the magnetic number books but on a bigger scale. Some children would try to order the numbers and start counting. Wooden number puzzles or jigsaw puzzles are always fun for children. They love to find the correct shapes and solving the puzzle. What child does not like to play with playdough? OK there are a few who don't like to 'dirty' their hands but they are the exception. Most preschoolers will love playdough and if you provide number cutters then some children will try to order them during their play. 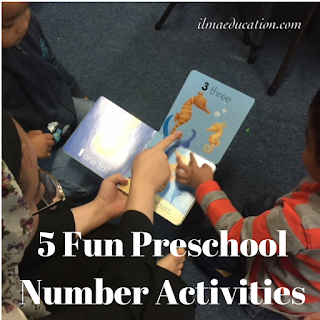 These are some number activities that young children love to engage in. They're fun and exciting and the prechoolers that I teach don't seem to get bored playing with them.